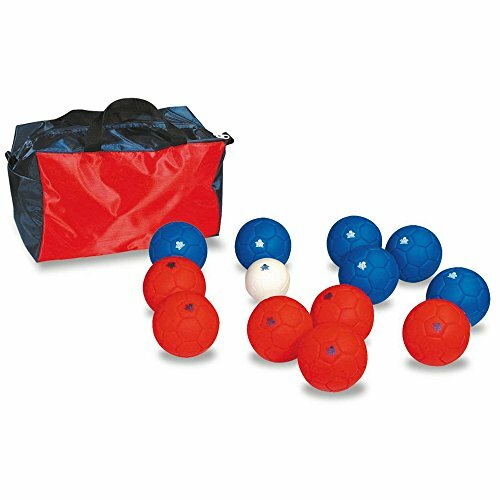 Kids Outdoor Activity Family Garden Games Rubber Feel Target Ball Soft Boccia Set by Sportsgear US at Scruffs Game. Hurry! Limited time offer. Offer valid only while supplies last. If you have any questions about this product by Sportsgear US, contact us by completing and submitting the form below. If you are looking for a specif part number, please include it with your message. Combo EPCO Tournament Sets, 4 color bocce ball option - 110mm. 2 Bags included.